Cassidy is a sensitive guy that wants to please. 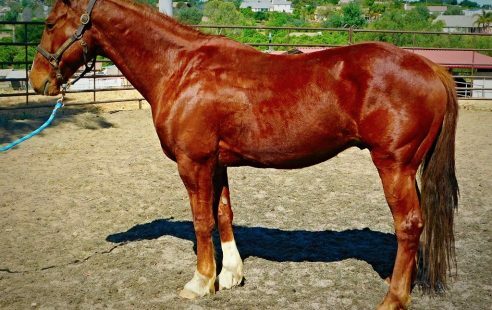 He was a feral horse that was roaming in Ramona. He has come a long way from the once wild horse he was. He is barefoot and is UTD on everything. He bathes/loads/ties. Cassidy currently has had about 60 days with Mike Pellkofer. 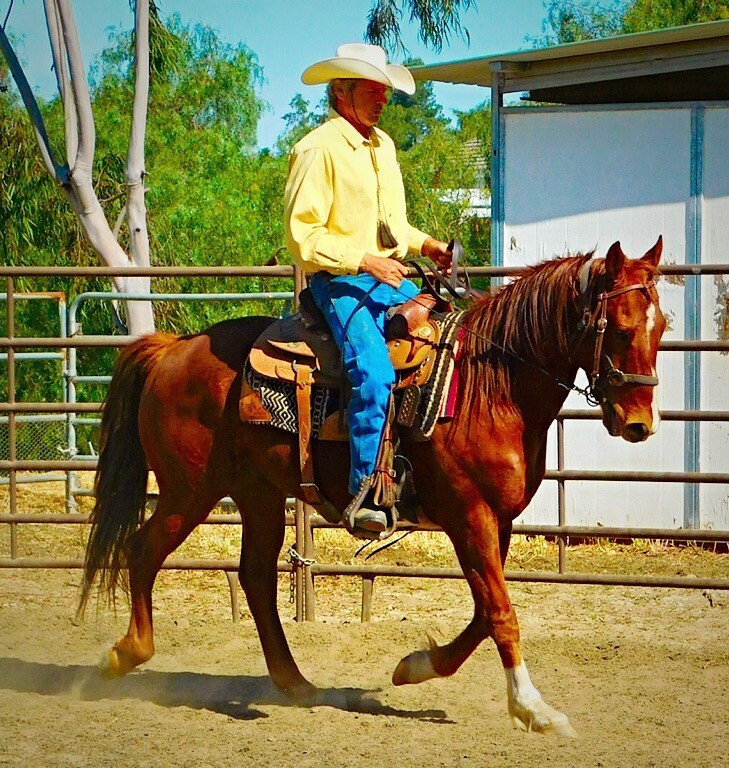 He has been started under saddle and has been riding western. He knows walk/trot/canter, stop, back-up, works off of leg. He will continue his training with Mike and he is working on becoming one of our next adoptables!